Combining warm hospitality, comfort as well as affordability, this property is an ideal place for an unforgettable stay. 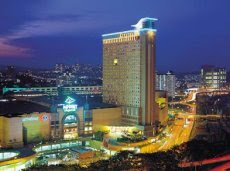 Strategically located in the heart of Klang Valley, Cititel Mid Valley is between Kuala Lumpur and Petaling Jaya. This property is 10 kilometers from the city centre and 75 kilometers from the airport. Elegantly furnished, the guestrooms are spacious, gracefully appointed and come with all the contemporary amenities to ensure you a pleasant and comfortable stay in Kuala Lumpur. At the onsite Citi Cafe, guests can relish an authentic Continental as well as local cuisine. After an exhausting day, you can chill out at the cosy bar with your favourite drink. The property offers well-appointed conference rooms for organising business meetings, seminars as well as banquets. Health conscious guests can avail the services of the spa, which includes a steam bath, jacuzzi, sauna as well as a massage.